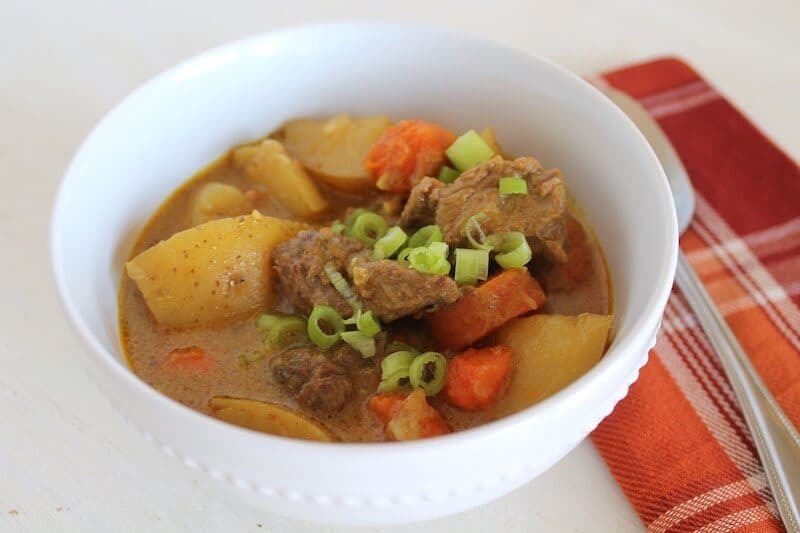 This hearty pressure cooker beef curry recipe is so rich, delicious, filling and easy. It makes the perfect cold weather meal. The instant pot cooks the meat so you have tender pull-apart flavorful beef in 30 minutes. 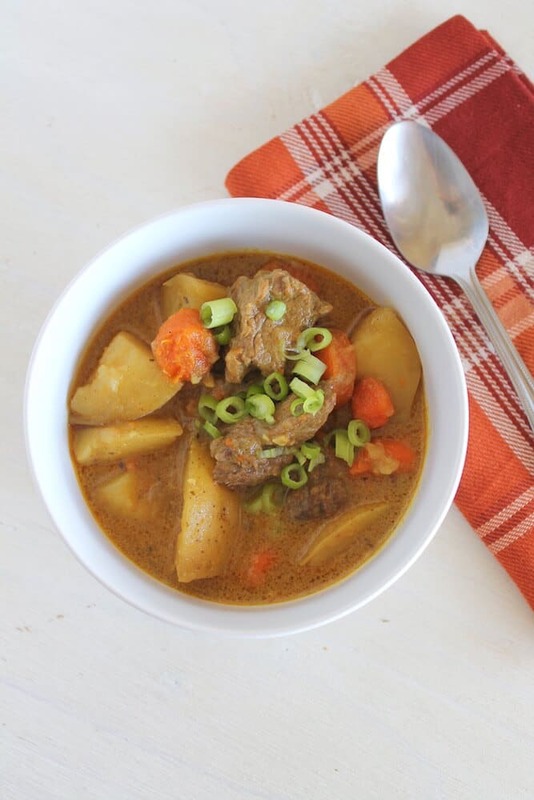 This pressure cooker beef curry recipe is so hearty, flavorful, filling and easy. It makes the perfect cold weather meal. The instant pot cooks the meat so you have tender pull-apart flavorful beef in 30 minutes. 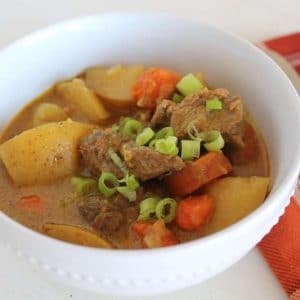 I usually make this big batch in the Instant Pot and it will last several days in the fridge, so I can just take it out and reheat for easy lunches or dinner. I used real potatoes for this recipe, but you can easily swap it out for sweet potatoes or other root vegetables. 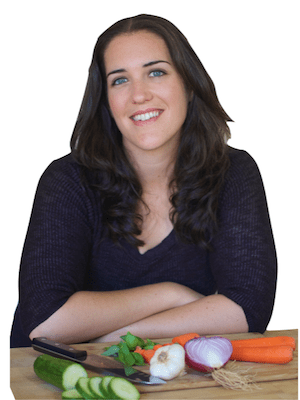 I like to use homemade bone broth in this recipe which adds to the nutrient density and flavor. This beef curry tastes delicious over cauliflower rice or regular rice. If you don’t have an instant pot yet, I highly recommend getting one! 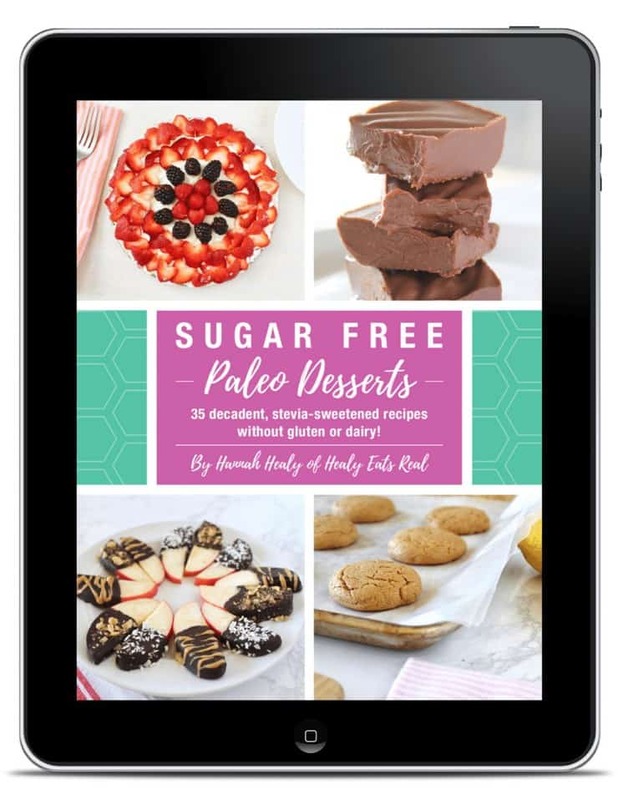 I got mine from amazon (they have great deals…check it out here). One thing I love about the instant pot is that you can make bone broth in 2 hours! It doubles as a pressure cooker and a slowcooker and there’s so much you can do with it. You can make coconut milk, hard boiled eggs, and more. It cooks fall-off-the-bone meat super fast too! So if you forget to defrost your meat, you can still cook it in the instant pot! 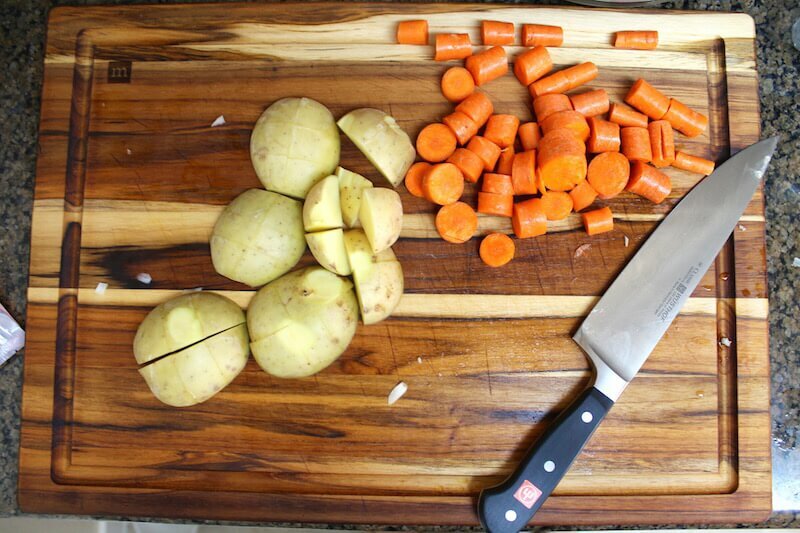 Cut the onion, potatoes and carrots in large chunks. Dice the garlic. Press the saute button on the instant pot and put the ghee in the instant pot. Once the ghee is melted, add the onions and garlic and stir for about 2 minutes. Then, add the stew meat to brown all sides for about 5 minutes. Turn off the instant pot and add the remaining ingredients including the carrots, potatoes, coconut milk, broth, herbs and spices. Stir to make sure all the spices are mixed in the liquid. Place the lid in the locked position and make sure the vent is turned to "sealed". 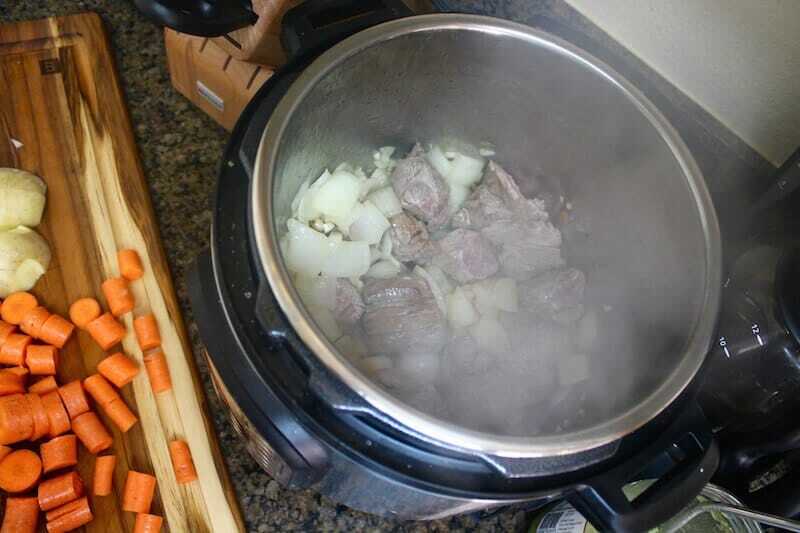 Press the "meat/stew" button and use the +/- buttons to set to 30 minutes. Once you get to 30 minutes it will automatically start cooking. When it's done, serve over cauliflower rice or white rice. I’m not sure. I haven’t done it in a crock pot. If you try it, let us know how it turns out! I do a quick release, but either will work! Has anyone doubled this and/or have a recommendation about the cooking time for doing that? It’s a rare snow day in Charlotte and I just made this…. it is amazing! Soooo good and exceeded my expectations. I’m definitely adding it to my weekly winter meal rotation! Thank you! So glad you enjoyed it! It’s one of my favorites too! I made this for the wife tonight. It came out great. I have never put oregano or paprika in curry, but it certainly didn’t seem to hurt it. Good, strong flavor and the medium hot curry powder was just right. Made it with brisket. Putting this one in the recipe box. Also made homemade naan for the first time today using my friend’s recipe and it came out very good as well. Yum! Sounds like a great dinner. Glad you liked it! 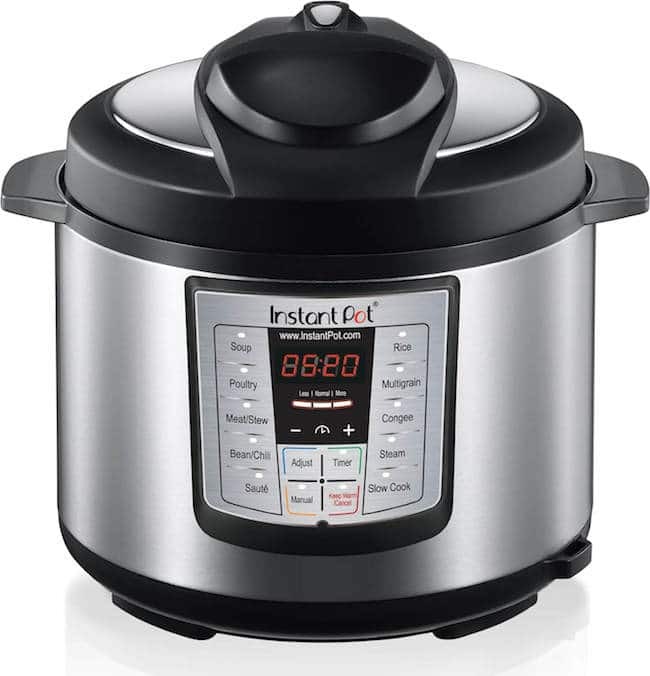 What’s the size of your instant pot? Like in 6 qt?? Yes, it’s a 6 qt.